Cybernetic explanations are based on a systems analytical approach and are concerned with feedback loops between a system and its environment. The Viable System Model developed by Stafford Beer had at its heart the notion of real time feedback loops that would enable an operation to make corrections to match the requirement of its environment. Traveling to New Zealand, I came across these cybernetic devices at Singapore Chang Airport which I haven’t seen or noticed before. 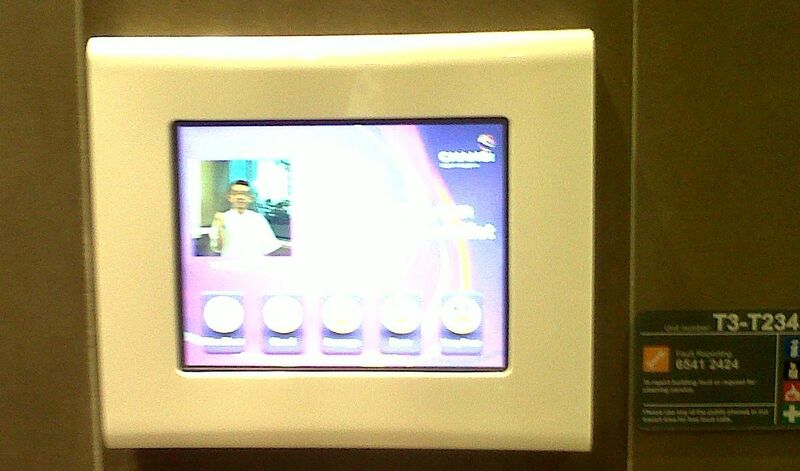 You can rate the service of the particular toilet attendant by selecting the appropriate button (hard to see but excellent on the left, poor on the right) so that he (and presumably his managers) have pretty much real time information on his performance. These things are everywhere in the airport and it would be good to speak to the designer/s behind the system to find out what the thought process and inspiration was! This entry was posted in Learning thoughts on April 16, 2011 by Stephen Powell.